Made of heavy duty PVC, ideal for physiotherapy, chiropractic and rehabilitation centres. 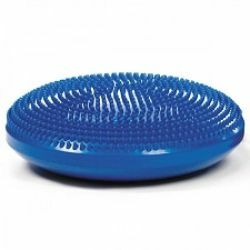 Inflate wobble disk for desired level of difficulty. 300kg anti-burst rating. Dimensions: 13.5” W x 3” H.